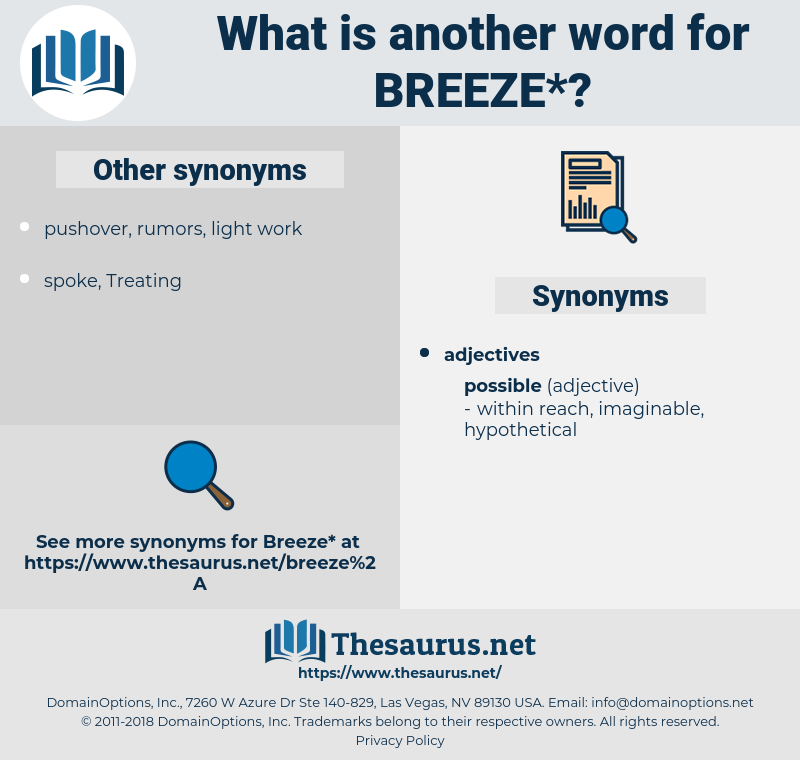 What is another word for breeze? nuisance, calm, trouble, pain, poser, sticky wicket, brainteaser, toughie, stinker, bother, stumper. It might have been merely the breeze, might it not? To - day it was high, and a smart breeze drove it in with unusual force. 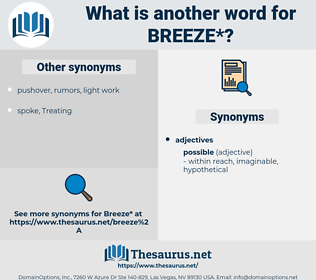 fresh breeze, sea breeze, light air, light breeze, moderate breeze, gentle breeze, strong breeze, breath.